The music has just the chorus of the song. 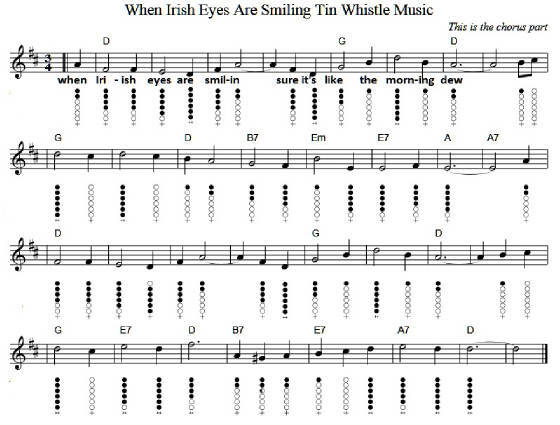 I have given the first line of text to get you started on the tin whistle. 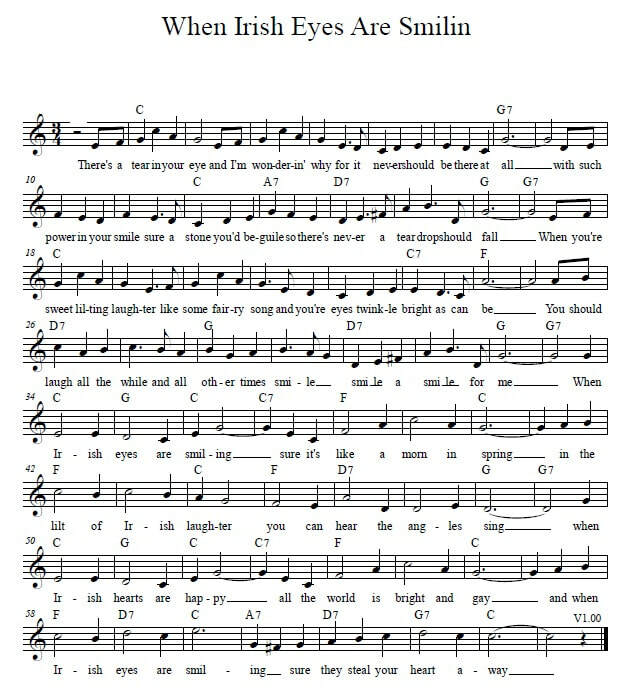 The version below is a bit different and includes the verse before the chorus.